4 Comments Published by Cedric Benetti on Thursday, November 1, 2007 at 11/01/2007 05:13:00 PM. "THE GOLDEN AGE OF COUTURE"
The V&A’s autumn fashion exhibition will explore one of the most glamorous and remarkable decades in fashion history. 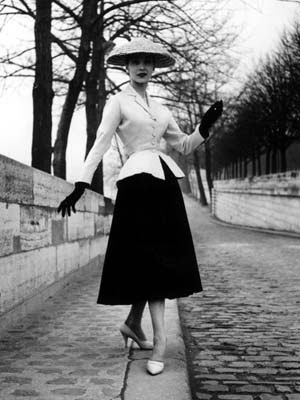 Starting with the impact of Christian Dior’s New Look after WWII, it will look at the work of Dior and his contemporaries during the period when haute couture was at its height. Coinciding with the 60th anniversary of the launch of the New Look in 1947, the exhibition will show how Dior’s ballerina-skirted dresses signalled the return to luxury and elegance after wartime austerity. 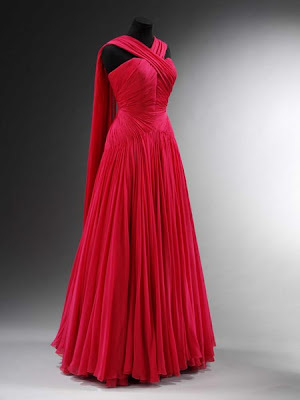 It will examine the world of couture, highlighting the work of Dior, Cristóbal Balenciaga, Hubert de Givenchy and Pierre Balmain in Paris and their London counterparts Norman Hartnell and Hardy Amies. More than 100 dresses will be on display including daywear, cocktail and evening dresses made for society and royalty alongside photographs by Cecil Beaton and Richard Avedon and original Hollywood and documentary film. More than 95% of the dresses are from the V&A’s fashion collections. I'm coming to Paris in December and want to drink heavily with you. How do I find you? Some random American guy who comes to Paris every year to look at art, drink a shitload, and pay for my fashionista wife's shopping bills. Your blog is great and to be honest, the huge West Hollywood Halloween parade missed your Cruella look. Lots of Amy Winehouse's. fascinating! I*d be glad to meet both of you funny shoppers lol!